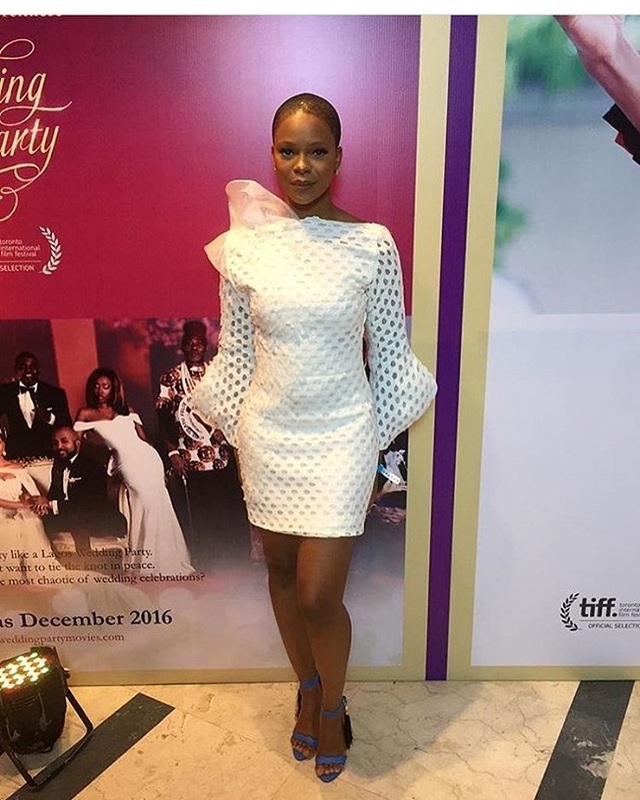 RED CARPET READY- THE WEDDING PARTY PREMIERE. 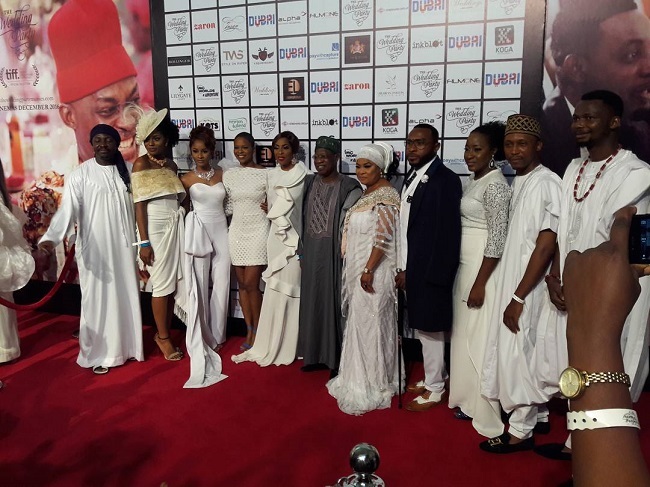 The most highly anticipated Nollywood Holiday movie of the year 2016 “The Wedding Party”, brought out the best and most impressive line up of A-list Celebrities and all of Nigeria’s most fashionable people from all across the continent. 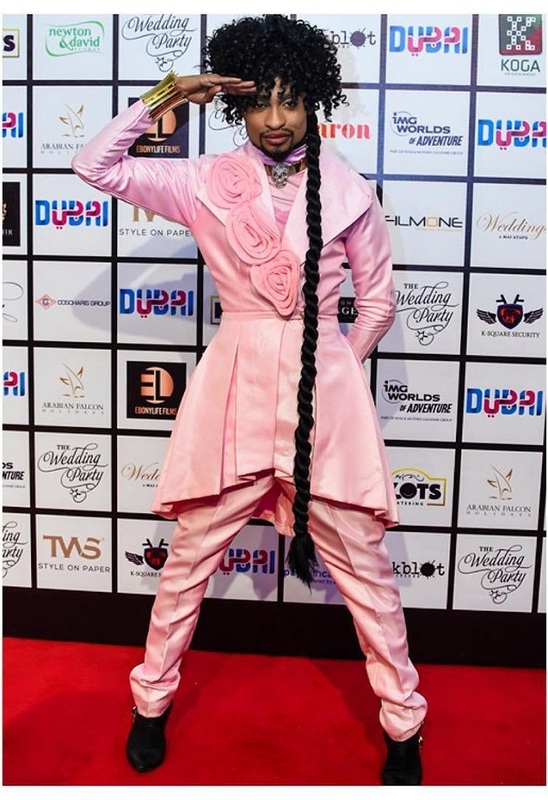 Honestly, the most impressive themed premiere i have seen all year. 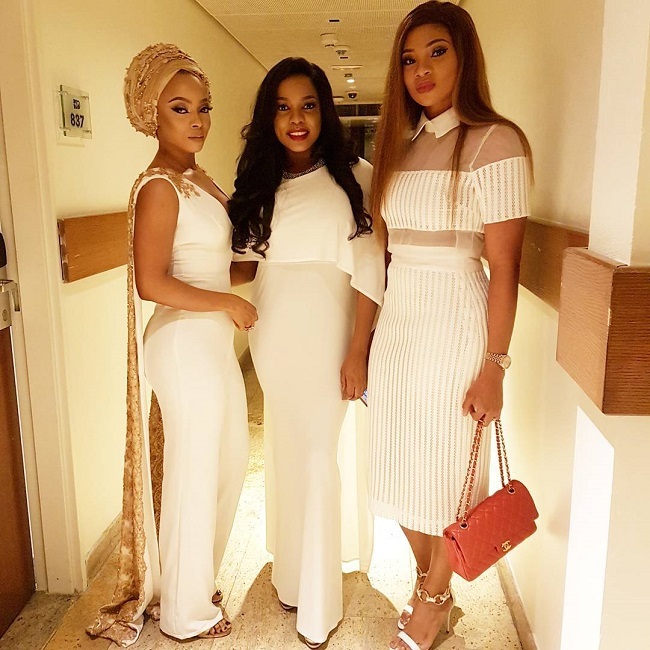 See all the grace, poise and sophistication that was the jaw-dropping fashion on the scene after the cut and be Inspired! 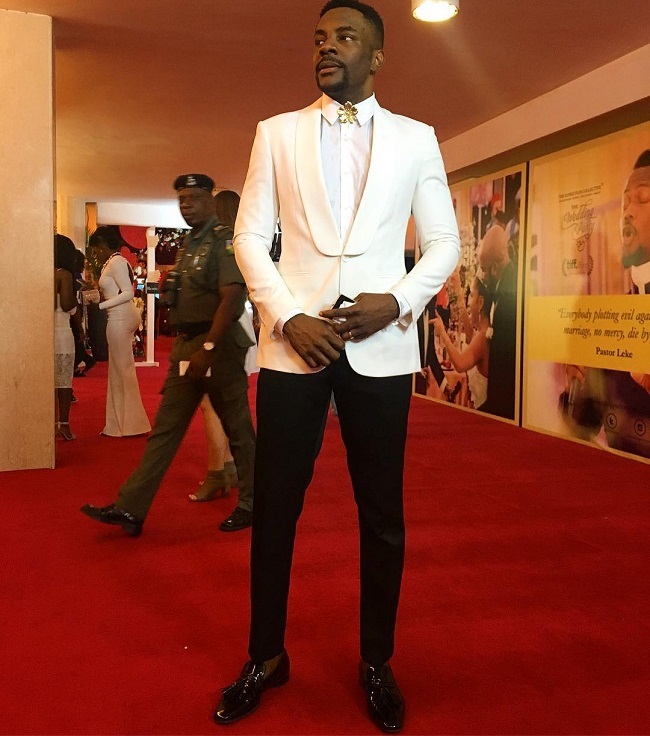 TV Host Ebuka Obi-Uchendu held it down for the men looking absolutely swoon worthy in a white Tuxedo jacket and black pants, which he accessorized with a gold brooche, topped off which some black patent tassel loafers. He knows his fashion. 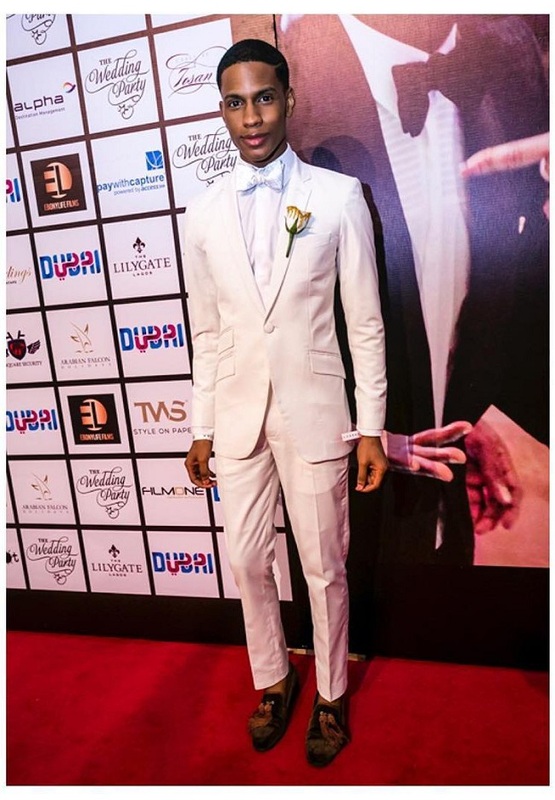 My favorite African Queen Zainab Balogun was on the scene in a white mini longsleeve number by Style Temple. 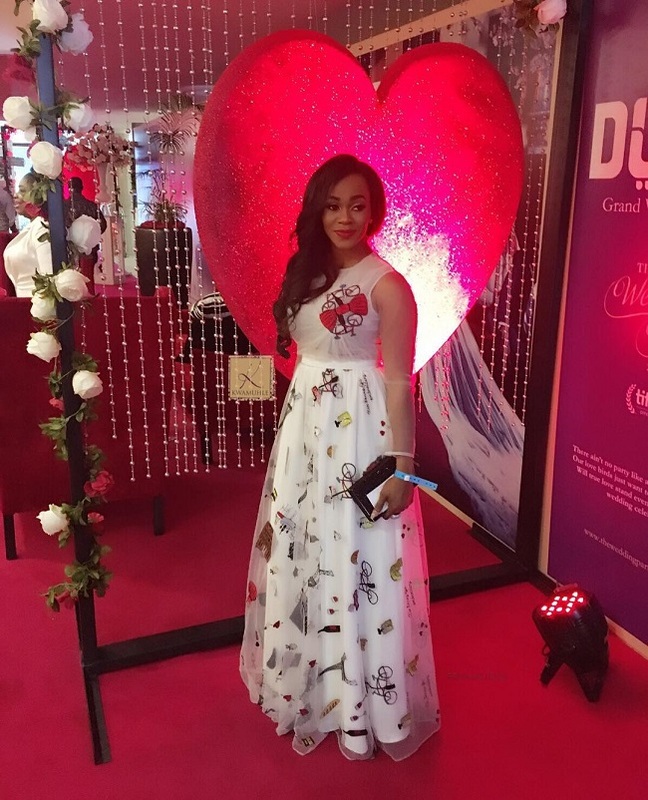 Bolanle Olukanni was on the scene looking angelic in a white and red floral embellished number by Ghanian Fashion House Pistisgh. 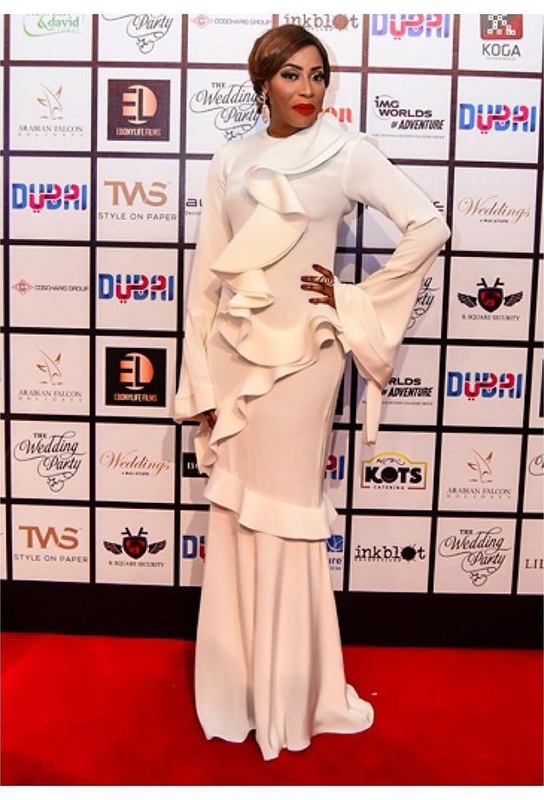 Superstar Producer of the night Kemi Adetiba graced the event looking bossy in her take on the women’s Agbada Fashion. 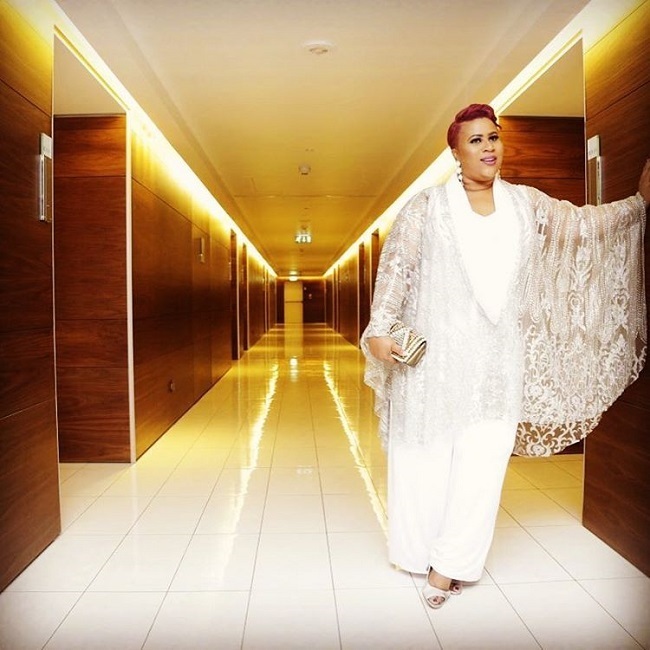 She is a bag of talent! 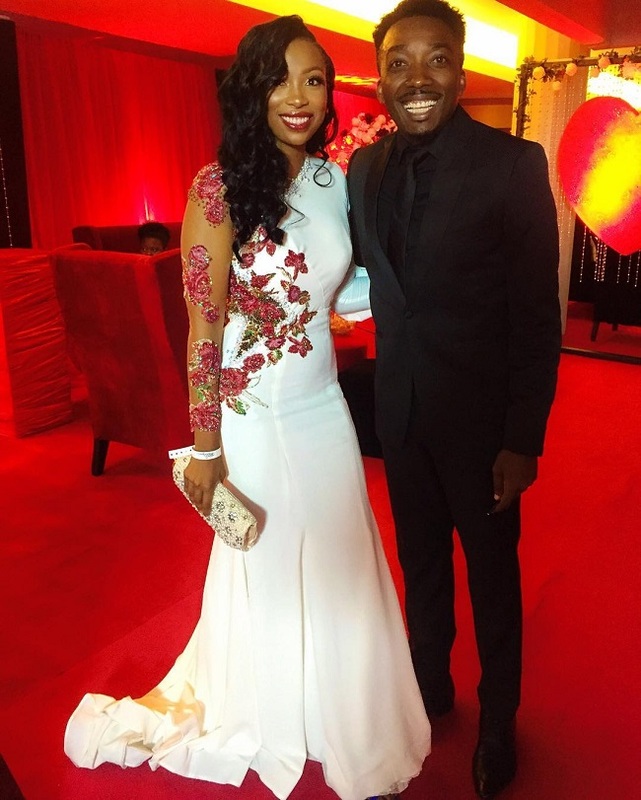 Plus she looks great. 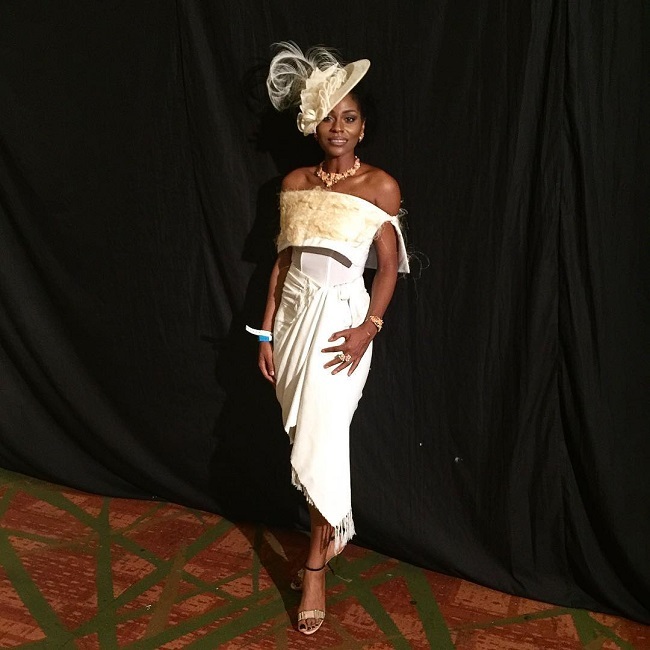 A-list actress actress Genevieve Nnaji was delightful in a white thigh-baring number. Lovely! 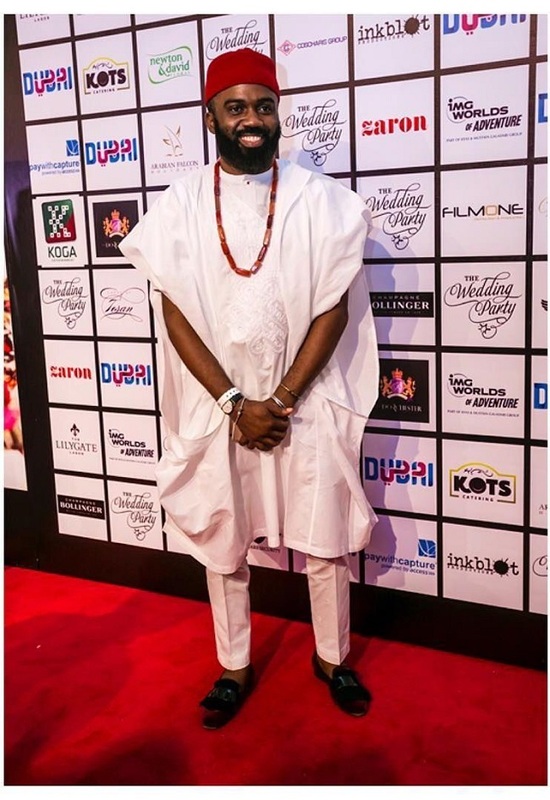 True Son of the soil Noble Igwe went for the traditional look rocking a white Kaftan number paired with some velvet loafers. 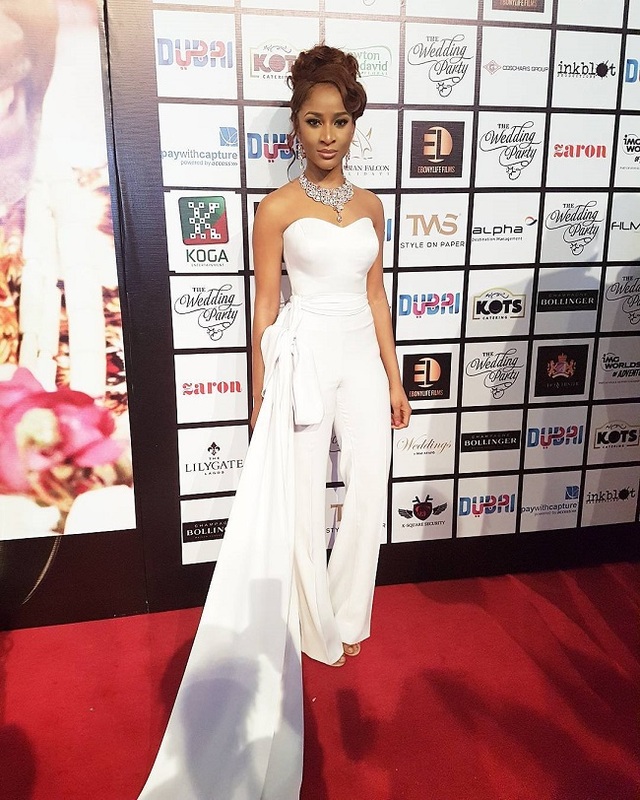 It was a night of tassels apparently…TV Host Denola Grey was on the scene in a white two-piece by Rhobes Clothing. 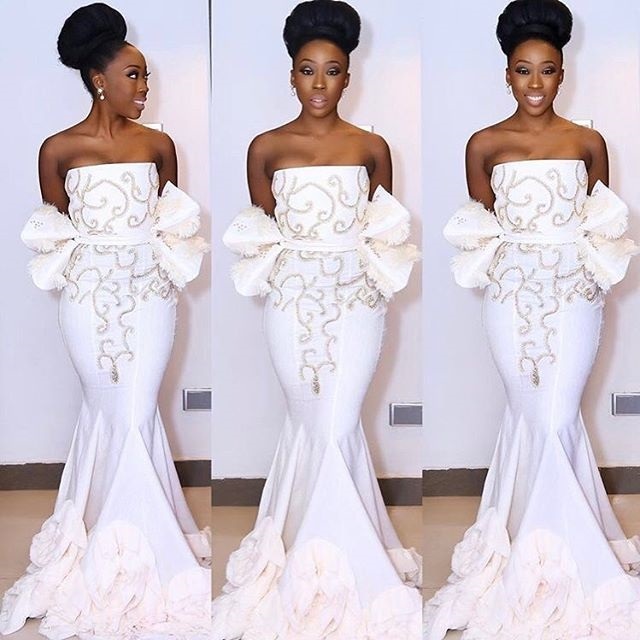 Temi aka The lady of Kwamhule was on the scene looking all shades of bridal gorgeous in a white embellished ball gown. I like this! 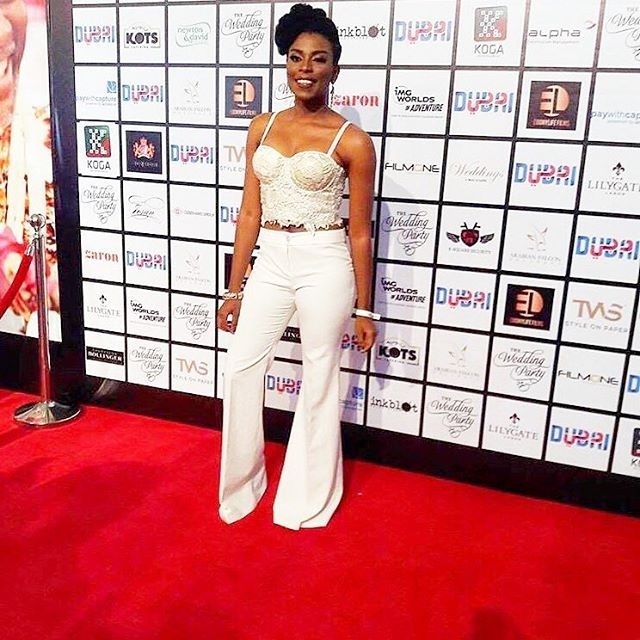 Ebony Queen/Executive Producer of the movie Mo Abudu was on the scene looking delectable in a white longsleeve number by designer Bridget Awosiaka. Lovely! 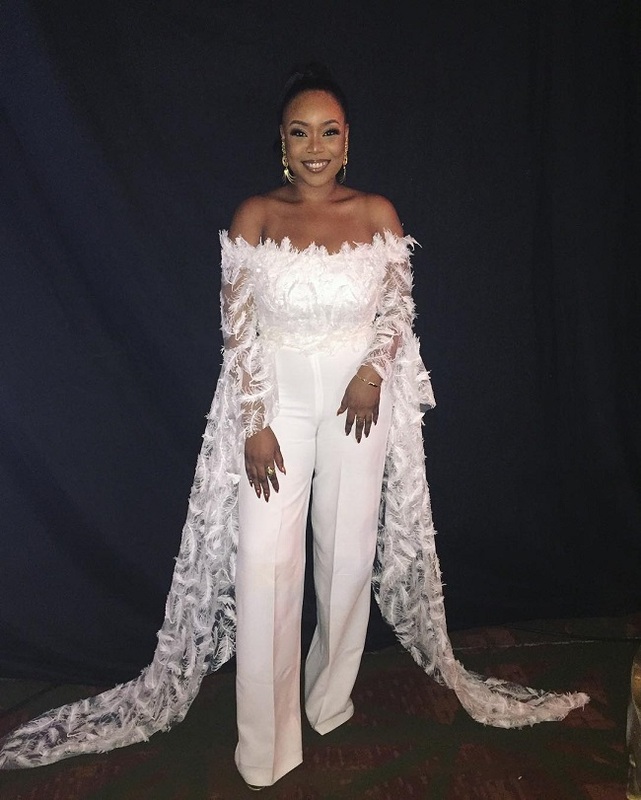 Cynthia Kamalu showed off her curves in a white busier lace top and some flare pants to match. 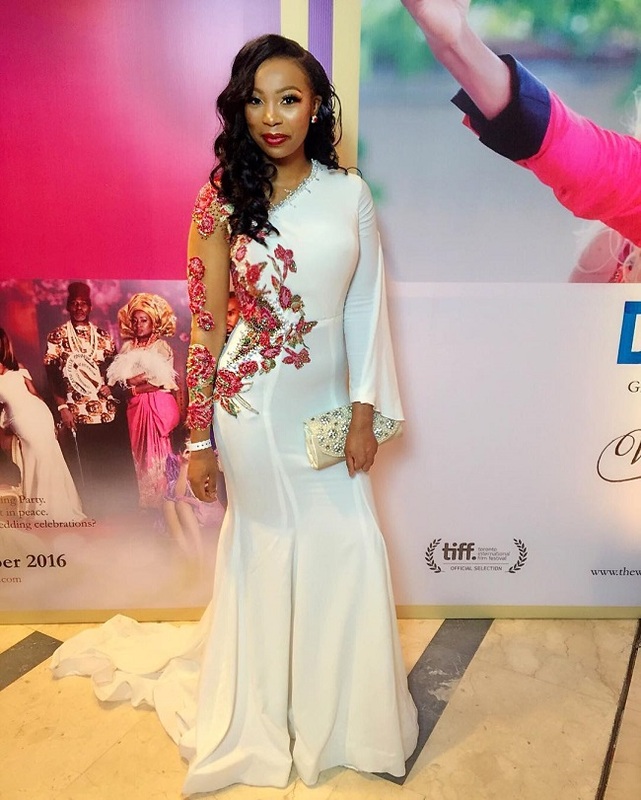 She is one of my favorite Actresses of all time, Shole Shobowale! 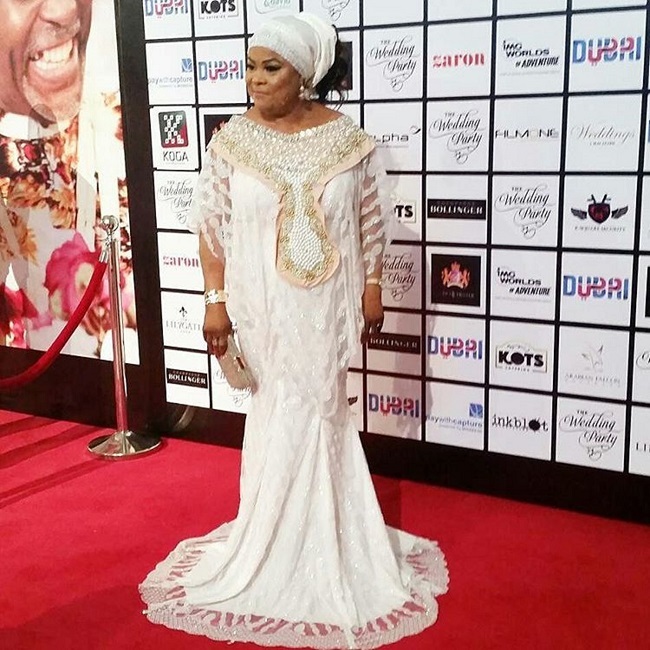 She is the mother of the day and the movie and she hit the red carpet looking pretty in white. #Toyintomatoes (you have to be a true Nigerian to get that). 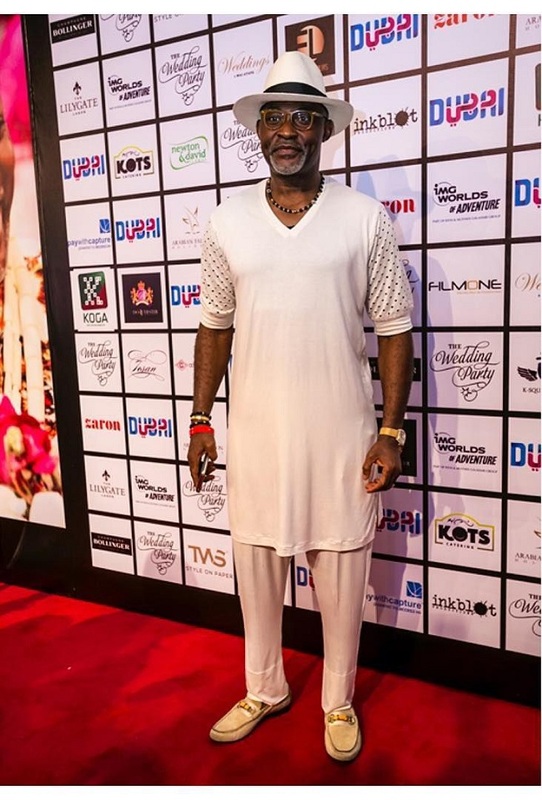 Actor Richard Mofe Damijo kept it cool in all white accessorized with a a black and white fedora hat. 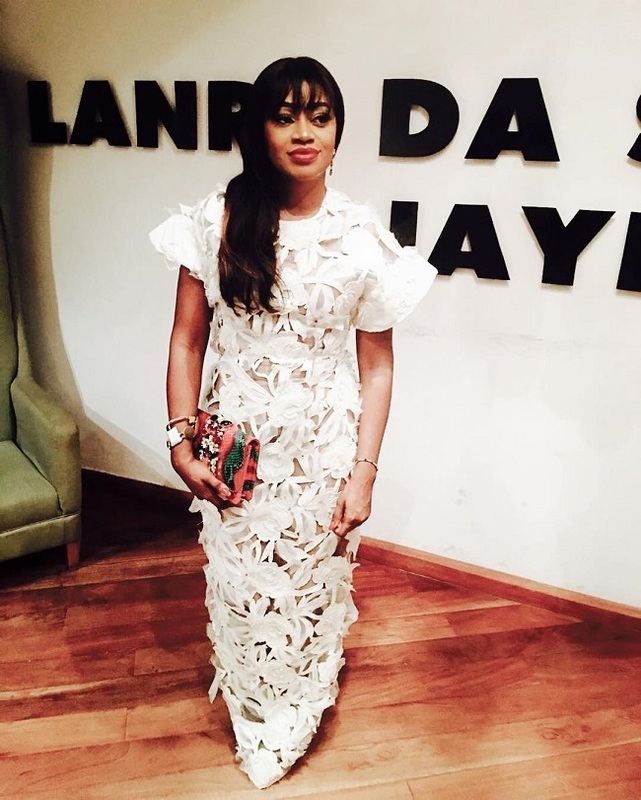 Comedienne Chioma Omeruah aka Chigurl made her way to the event in a white lace number by Ayaba Official. 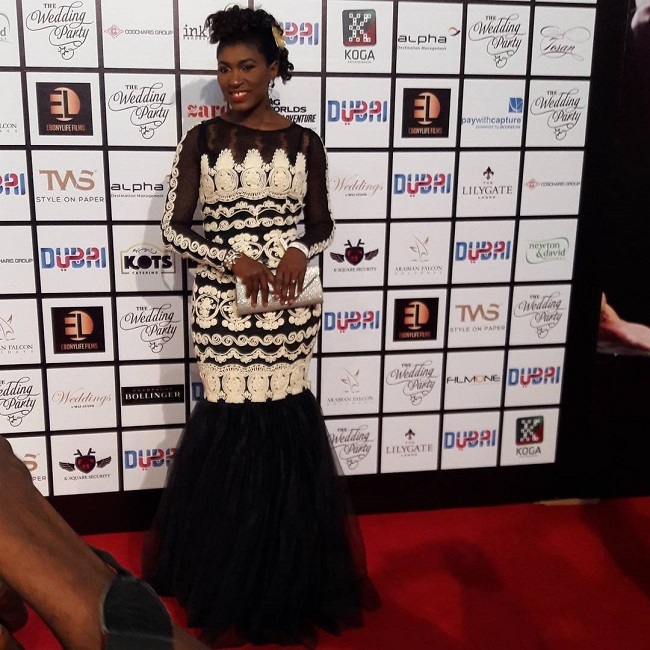 Actress Ufoma Mcdermott was surprisinlgy the red carpet casualty at the event. 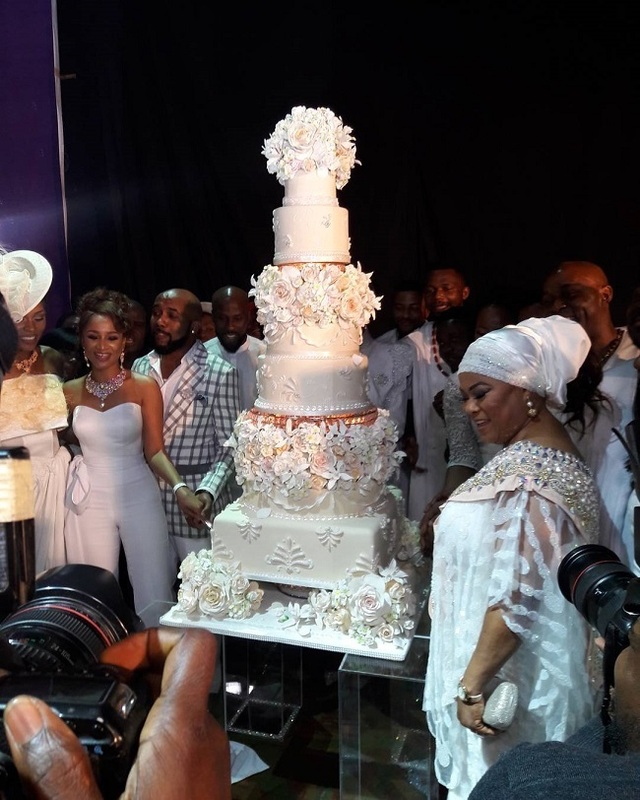 Breaking all rules, the actress showed up in a black and white lace and tulle longsleeve number. 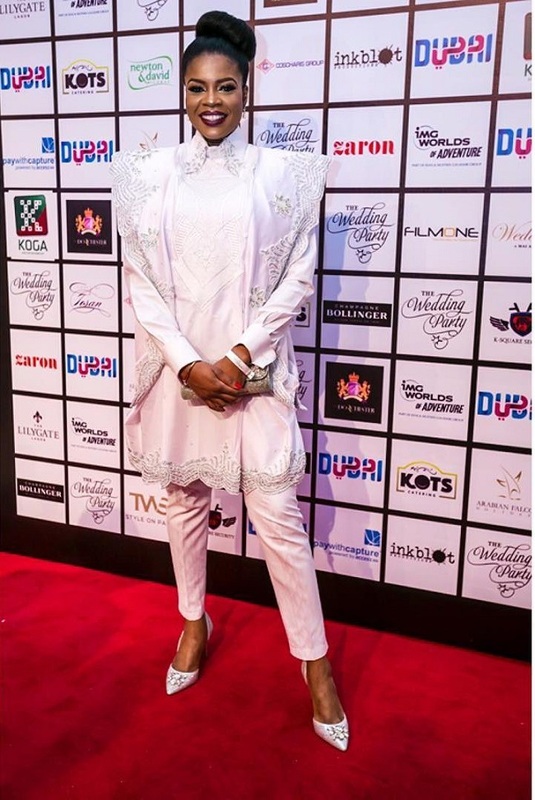 I do not like this look on her and i think it was a huge miss from head-to-toe!!! Better Luck Next Time! 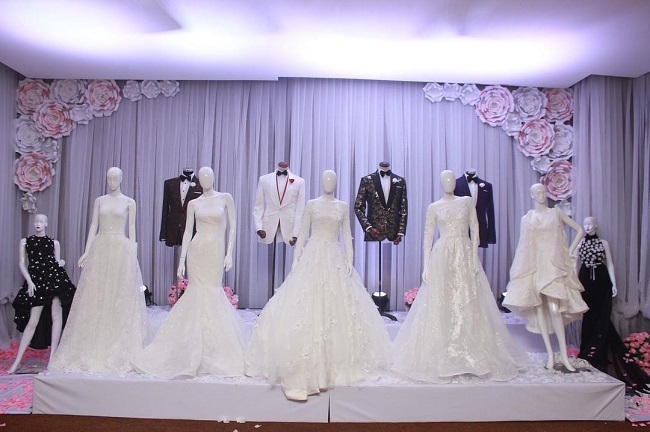 There you have it, all the amazing looks from the Wedding Party Premiere, which by the way is showing in theaters across the Nation…Who had your favorite look on the red carpet and how excited are you to see the one of most anticipated movies of the year? I know i am…Still, lets hear your thoughts. SNAPSHOT; TRACEE ELLIS ROSS, MICHELLE MONAGHAN, KRISTEN BELL AND CYNTHIA NIXON. 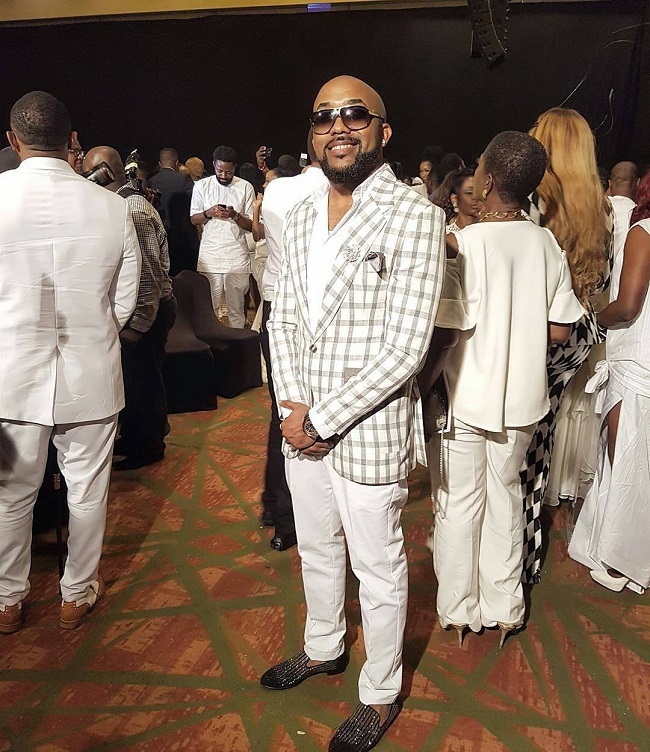 ON THE SCENE; THE 2016 ELOY AWARDS.